Simon Murphy’s new album, JET SET! 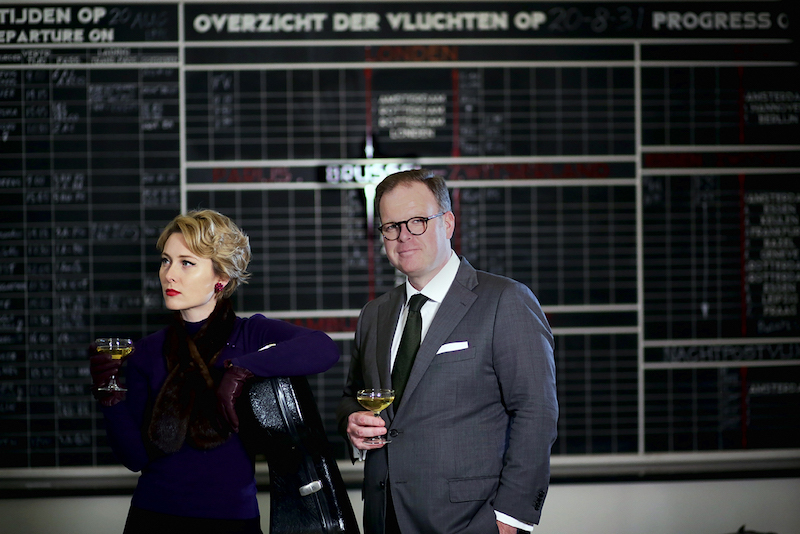 Classical Glitterati, follows the musical “jet set”of the 18th century as they “do” the splendid cosmopolitan cultural epicentres of the time, including London, Paris, Berlin, Vienna and St Petersburg. Exploring the intertwining stories of these high flyers as they criss-cross the European Continent, the album (recorded with his Baroque orchestra, the New Dutch Academy) watches the sparks fly as they inspire each other in this period abuzz with creative fervour, international cultural exchange and mind-blowing talent. One of the legendary international 18th-century personalities explored through the album’s whirlwind musical program is Carl Friedrich Zelter (1758 – 1832), generator of the Bach revival in the 19th century, teacher of Mendelssohn, and friend of literary greats including Goethe. Simon Murphy, a Dutch-based Australian conductor and violist, wrote the following piece for Limelight Magazine about the highly personal story of his relationship with Zelter’s Viola Concerto, what it was like to record it, and the fairytale-style story of the work’s creation. When I was 16, there were two tutti viola jobs going in the Sydney Symphony Orchestra. Even though I was still at school, my viola teacher, Leonid Volovelsky, encouraged me to apply, and I can still remember the look on the faces of the SSO’s office staff when I turned up, in my school uniform, to hand in my application. On the audition day, on the main stage of the Opera House, I managed to get through the first round and into the finals, and the result of it all was that as soon as I finished high school, I got casual work playing in the orchestra and was put on the national filler-in list. This was great experience – playing under the likes of conductors Hans Vonk and David Porcelijn in the SSO and Tasmanian Symphony Orchestra, and under Roland Peelman in projects with The Song Company and Hunter Orchestra. As a teenager, and student, it also paid a lot better than many other employment options. When I was about 19, I scored some casual work with the Canberra Symphony Orchestra. On an afternoon off, I ended up in the viola section of the ANU School of Music library. Alongside a stack of other viola concertos by Berlin and Mannheim masters, I happened across a copy of the Zelter Viola Concerto – albeit in a humble, modern, piano-reduction version. I can still distinctly remember the feeling as I looked at the music – a mix of excitement, disbelief and vindication at discovering that I was right – there was plenty of fantastic repertoire for the viola (contrary to general opinion and the surfeit of viola jokes). Alongside Bach, Stamitz, Mozart and Beethoven, I could now add Zelter to my list of 18th-century musical legends who had enjoyed playing and writing for the instrument. Horns up! No doves crying here. Everyone happy. This is not my expert area, but I take it that the doves were some sort of special homing pigeon rather than just “doves” or “pidgeons” (Tauben). Zelter would go on to become a cornerstone figure in both Germanic and European music history. As the head of the Berlin Singakademie, he was instrumental in preserving much of the Bach family’s music in the 18th century and was a central force in the Bach revival movement of the 19th century. Ironically, not so many of his own compositions have managed to survive. He is perhaps now most famous for having been the teacher of Felix Mendelssohn and Carl Loewe, amongst others. Goethe found him to be such a relevant and interesting figure that he had their correspondence published, saying of him that, “in conversation, Zelter is genial and always hits the nail right on the head”. The resulting concerto is indeed an exquisite work. It’s almost an encyclopaedia of 18th-century music. Like in another viola classic, Harold in Italy, Zelter offers his audience a breathtaking vista. Instead of exploring the Italian countryside, however, Zelter takes the listener on an incredible journey through the musical styles and languages of the 18th century including Sturm und Drang, Empfindsamkeit, galant, Baroque and Classical, ending up in a pre-Romantic, rollicking and very “Mr-Darcy-friendly” rondo. Capitol! What is particularly impressive about the work is how Zelter manages to bind all of these very diverse elements together, creating a convincing musical entity with such diversity and variety. What a ride and what a view, and to think that Zelter was worried about his, as he saw it, “underdeveloped composition skills” when he wrote the piece as a youngster. He was certainly a natural! For me, hitting the music libraries and digging for viola gold wasn’t a new thing. It had been my m.o. since I was about 13. In the afternoons, between school (at Scots College in Sydney, on a music scholarship) and my viola lesson at the Sydney Conservatorium, I killed time at the Con library then located where “the Toaster” is now. My eyes were wide. I loved it for a) the excellent harbour views and b) the exciting music collection, full of possibilities and potential new discoveries. It was a musical Aladdin’s cave. I borrowed every Baroque CD and all the relevant scores and sheet music I could find. Rallying my musical school friends together, I led rehearsals and performances of all sorts of trios, quartets and orchestral suites by the likes of Graupner, Telemann and Bach. I was voracious and experiencing this music from the inside out – as an ensemble leader, from the viola – was simply exhilarating. It also set the pattern for what I would do professionally for the next 30 years. When I first encountered the Zelter Concerto on that cold, grey, blustery, winter’s day in Canberra, it strengthened my resolve to follow my dream to go and do Baroque viola in Europe. I remember taking a very big breath that day, full in the realisation that I just had to do it, with all the uncertainties and possible hardships along the way. From that time back in the 1990s, I’m very grateful for the encouragement which I received from Aussie early music heroes including Hans-Dieter Michatz and Geoffrey Lancaster to that end. So, through the new album, it means a great deal to me personally to be able to present the first on-authentic-instruments-recording of this classic, but surprisingly lesser-known gem. Enjoy! Born in Sydney in 1973, Simon Murphy is an international award-winning Dutch-based conductor and violist with a special interest in the music of the 18th century. On his new album, JET SET! Classical Glitterati (Pentatone, 2019), Murphy performs Zelter’s Viola Concerto in E-Flat alongside conducting works by Abel, Reichardt, Storace, Mozart and Paisiello. Featuring several world-premiere recordings alongside some well-known classics, JET SET! 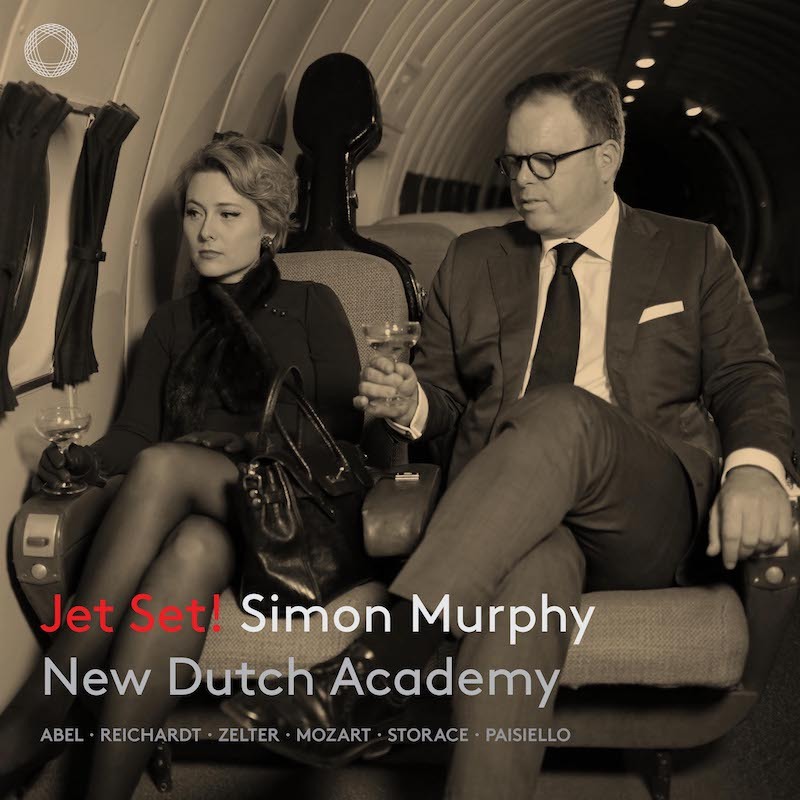 is Murphy’s seventh album together with his Baroque orchestra, the New Dutch Academy, and follows his previous release, GRAND TOUR Baroque Road Trip (Pentatone, 2017).